Daryl Eigen fought in the Vietnam War with the Marine Corps' 3/26 and 2/9 combat infantry battalions in the Third Marine Division in 1966 and 1967. He participated in over 12 operations against enemy forces and was awarded 3 purple hearts.. In this memoir, Eigen gives voice to his and his fellow veterans' experiences of the Vietnam War that culminated in September of 1967 in the brutal battles of Con Thien. 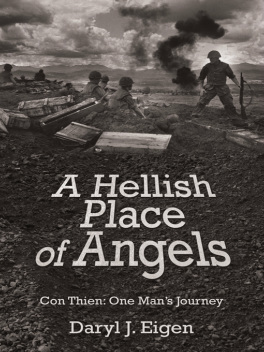 A Hellish Place of Angels provides an in-depth and riveting insight into war, and documents a spiritual journey that took one tour of duty to experience and forty-five years to understand. David Douglas Duncan turns 100. Con Thien, called "The Hill of Angels" by local priests, became the nexus of brutal fighting in September of 1967. Con Thien was one of the most northern bases in Vietnam and was part of the DMZ combat theater. The base was situated to stop the infiltration of the North Vietnam Army (NVA). University of Texas at Austin.The 100 or so original letters (and book) written by Daryl Eigen to his family have been donated and archived at Chapman University Leatherby Libraries War Letters Collection. See the cover letter and certificate on tab The Letters. Letters home, personal experiences, and historical references are braided tightly together to reveal the truth and form a compelling and gripping story of the Vietnam War. A narrative arc is developed similar to Full Metal Jacket and Jarhead but with more heart, more focus, and more action. The author of the letters home is my younger self as pictured here. I was 21 in this photo about ten months after I returned to the 'world' from the 'Nam'. 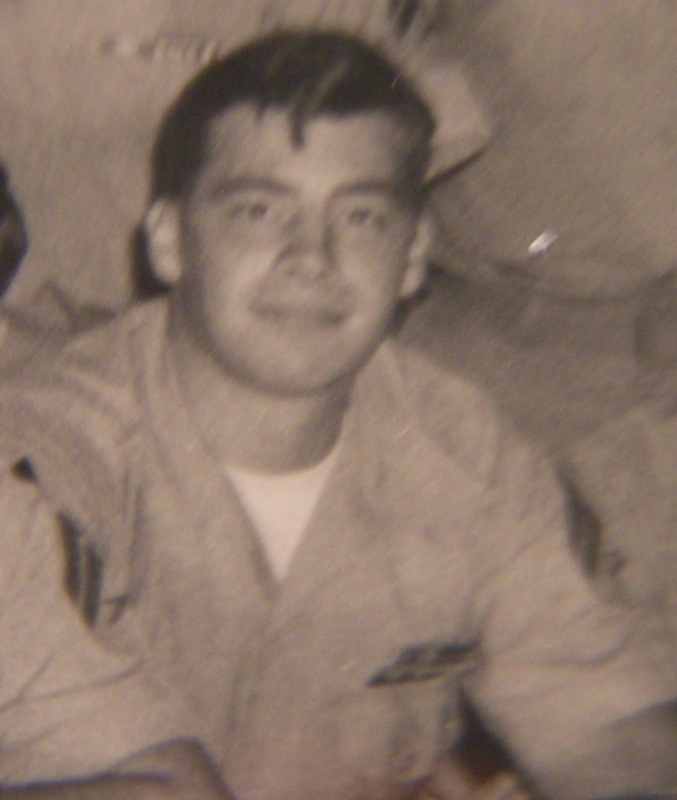 Daryl J. Eigen served as a combat Marine in Vietnam in 1966 and 67 and was honorably discharged in 1968. He earned a PhD in engineering from Northwestern University, an MA from Sofia University and an MA from University of Wisconsin-Milwaukee. He worked as an engineer, senior management and CEO in high tech. Now retired, Eigen and his wife, Lucy, live in Portland, Oregon. He has two children and four grandchildren. David Douglas Duncan's famous photo is proudly used as the cover of this book with his and Harry Ransom Center's (the collection of DDD's work) permission.